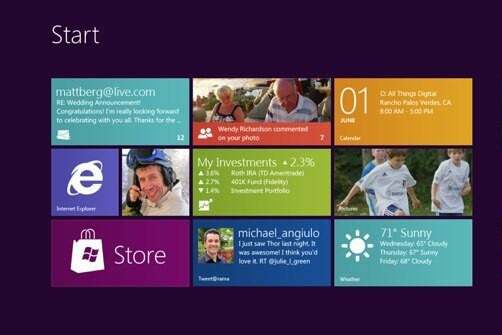 Microsoft has announced that it will launch a “Release Preview” of Windows 8 during the first week of June. This will likely be a feature-complete version of Windows 8, requiring only bug fixes before the final product launch later this year. With that in mind, let’s take a look at some of the things Microsoft should change in the Release Preview. Most people are not power users. Without any sort of guidance on how to navigate the Windows 8 desktop without a Start button, they will be lost. For proof, watch this video of Chris Pirillo's father trying to use Windows 8. Microsoft made a bad call to ditch the Start button without any guidance in its place. Windows 8 is supposed to have better built-in support for multiple monitors, but it still needs work. Although you now get a single taskbar that runs across all screens, you can only choose one “main taskbar” to open the Start menu and run Metro-style apps. Without a proper Start button, hitting the corner of one screen is a pain when your mouse can easily jump to the next screen. Unless Microsoft makes improvements, I'll be going back to third-party solutions like DisplayFusion. For the most part, ignoring the Metro interface of Windows 8 is easy, especially if you think of the new Start menu as a full-screen version of the pop-up start button. The one glaring exception is when you want to open a photo, video or audio file on the desktop, and Windows 8 boots you back to its Metro-style media players. You can change the default programs for these files, but that's a hassle. If I'm working on the desktop, I want to stay there. Fast app switching is still too sloppy on Windows 8 tablets. When you drag a finger from the left side of the screen, one of your recent apps slides in, but you don’t have immediate control of which app appears. To choose from a wider list of recent apps, you must slide your finger back to the left side of the screen, which opens up a sidebar with app thumbnails. Sound confusing? It is. Microsoft should ditch the initial sliding app and leave only the left sidebar of thumbnails for multitasking. To adjust a Metro-style app’s settings in the Windows 8 Consumer Preview, you must open the Charms bar and click “Settings.” From there, it’s a grab bag. Some apps present another “Settings” menu that users must click on. Others present multiple menus, such as “Account Settings” and “Application Settings.” Some apps don’t present any settings at all. It reminds me of the sloppiness of Android’s Menu button, where users have no idea what they are getting. Microsoft needs to scrap this system and encourage developers to integrate their settings right into the app. The average Windows 8 tablet user will be able to get around just fine with a physical Windows button and whatever they see on the screen. 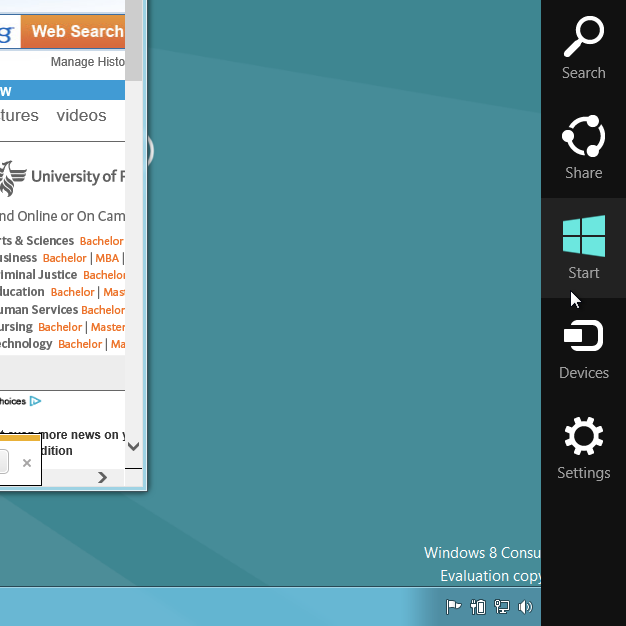 But many of Windows 8’s more useful features, such as sharing, searching and app switching, are hidden from plain sight. Microsoft will need to get new users up to speed on the swipe-based interface of Windows 8, or else those users will miss out on a lot of what makes this OS so interesting.